In a salon where I`m always being bombarded with new products and so called great ideas for my salon, it`s nice to deal with Ashley and the team at Scissorhands who are from a hairdressers back ground. We`ve been using Scissorhands for over 7 years now. We started buying our scissors because Ashley was the first person to explain anything about scissors that made any real sense. Since then we have been on various training courses and had in salon training sessions to help my staff really get to grips with how to cut with the various cutting tools they recommend. All my staff now have a set of cutting equipment from Scissorhands as a result. We`ve really enjoyed learning a new way to do things and the buzz it gives us from trying out new haircutting ideas. On a personal note, I suffered from sore tendons for around 4 years. I have been using a pair of Revolving thumb scissors for over a year now on recommendation. I am glad to say that the pain has really reduced as a result. I recently purchased a superb new pair of 6.5" rotating thumb shears from Ashley at Scissorhands.We also had two pairs of our shears sharpened, so well that they are now better than new! Ashley visited the salon, advising in detail which pair of shears would suit my needs, explaining the way that Scissorhands works in partnership with salons to provide training and support. I've been in the industry for 30yrs and it was refreshing to speak to Ashley as he understands the needs of professional hairdressers and the significance of good advice from someone who is a fellow professional. I Highly recommend Scissorhands to all hairdressers. 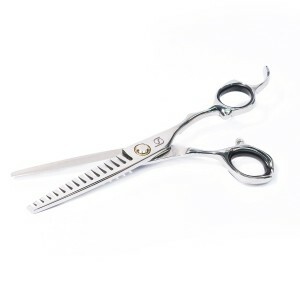 I purchased Ergo 6 inch left hand scissors as a Christmas present for my daughter Lucy. She worked New Years Eve as most hairdressers do, and she absolutely loved them, was amazed at the sharpness and change it made to her comfort etc when cutting and really enjoyed a good days work. This is just to say thank you very much and we will definitely use your site in the future and will pass on your services to her salon team at Saks in Southampton. I've picked up lot's of scissors today, but these are the BEST scissors I've held ALL day! Hi Ashley, my scissors are fine now, thank you. I'll definitely be using you again for scissor repairs and sharpening! Thanks for taking time to ask me. I don't know how much I can thank you for my new Magnus Evo Scissor sent to me last week. How sharp and great to hold, managing haircut with confidence. 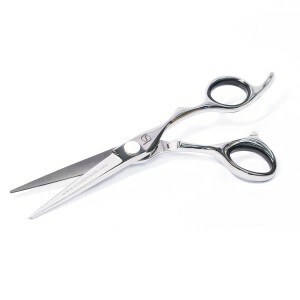 Hello Ashley, I am just writing to you to inform you that the scissors I bought from you are fabulous I love them best scissors I've ever had and I have recommended them to my friends that have, or are starting hairdressing. Thank you so much! I am not one to regularly review items that I have purchased or give companies general feedback on products or service unless I have cause for complaint! However, I feel compelled to write to you to tell you just how please I am with all the help and advice I have received as a Scissorhands customer. Having recently completed an NVQ in Barbering, I am just taking my first steps in the industry. Being 39 I have come into the world of hairdressing quite late and with a clear intention to succeed quite quickly and gain a reputation as a good stylist for men in my area. Whatever I have undertaken in life, be it a hobby or career choice, I have always tried to do plenty of research and study into getting things right. Imagine then my frustrations, when toward the end of my course I started to research into various bits of hairdressing equipment, only to find that worthwhile advice and help seemed to be sadly lacking. Non more so than in the world of scissor choice. With so many brands and designs out there I found it incredible that there was nothing I could find that could tell me what scissors to buy and why. I knew that there must be better than the £16 pair that was in my college kit, but was reluctant to invest based purely on brand and price. And then came you. I stumbled across one of your YouTube videos, within which, you freely explained the different designs of scissors, both handle and blade shape, what they do, why they do it, you even covered steel forging temperatures and differing grades of steel!! Here is a company I need to find out more about I thought. I avidly tuned into all of your YouTube videos absorbing whatever information I could, falling in love with the simplicity of the presentation and the choice of products, particularly the brilliant 15 tooth scissor that was going to save my fingers from the perils of point cutting! Alas, with all this information came some concern that I would surely not be able to afford any of the products you design and purvey. My college tutors voice ringing in my head "You can spend silly money on scissors Keith'!! Imagine then my delight when I visited your website to discover that you had scissors to fit my budget and to cap it all, when I filled in a 'Contact Us' enquiry, none other than your good self, the man from the YouTube videos personally responded. Seriously Ashley, I can't thank you enough. You have given me true customer service, answering literally tens of emails from me at all hours and provided great support over the phone too. Your 'can do' and 'nothing is to much trouble' attitude has helped me find the right scissors for what I needed and to fit my budget. I am now the proud owner of a Scissorhands Complete Carbon Set and you have yourself a customer for life. I look forward to attending the free training day we discussed and meeting you in person to gain some extra help in using the layering/texturising scissors in particular. However I have to say, I have used the 15 tooth scissor a couple of times already and they given great results. Feel free to put this on your website. Anything I can do to help get you the popularity you deserve is my pleasure. Love my new scissors, thanks!! Just to let you know Ashley we are all loving our new scissors and really enjoyed your workshop last week. Ever so friendly and knowledgeable shopping extravaganza from people who love and understand their scissors. I purchased another pair; yes you do need more than one scissors if you are master of your craft. After a Ergo 6.5 inch Hairdressers Scissors and Magnus Evo Hairdressers Layering, Texturising Scissors, the family was completed with a Lite 5.5 inch Hairdressers Scissors and I cannot be happier. They feel like extended hand. Edward would be pleased. They cut so precisely and are well controlled. Great for any types of hair but I love them when cutting medium to fine hair. Highly addictive! This company is not just about selling you a pair of scissors, it’s an experience! Scissorshands are the only one I trust to sharpen my scissors with. They will turn quickly your old ones into a new and they are cheap too. I'm looking forward to have my old snipers serviced soon. I know what to expect. Great service which is easy to pass on to my clients. It was great meeting you at Salon International. I bought 2 pairs of your scissors, a pair of Evo layering scissors and offset revolving thumb scissors. I have to say I am totally in love with both pairs, and you were correct about the layering scissors! They have transformed my way of cutting. My clients have noticed the difference too. The main reason I bought my scissors from you was because of your passion for the product, more so then any other trade representative at Salon International. You answered all my questions and had such great knowledge about every aspect of the scissors from making them to repairing and servicing them. 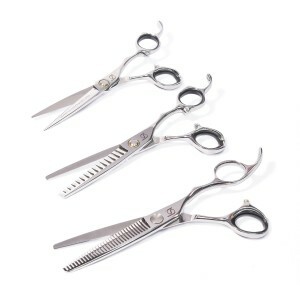 You have a client for life here, and I want to thank you for offering to service my other 3 pairs of scissors (which are currently in the post to you) I also have given your details to my friend for her to send her scissors too. Just checking in to let you know my Carbon Evo scissors are now so indispensable to me that I don't know what i would do without them. My solid blades are practically redundant haha. Just wanted to say that the Lumen Soft Cut scissors I got from you at Salon International are great. Erik and I have even managed to get the other stylists in the salon converted too! 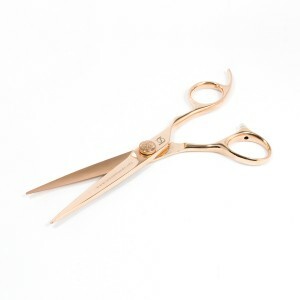 I've been hairdressing for over 12 years and these Dragon Scissors are simply amazing, best scissors I've ever used!! So smooth razor sharp cuts through hair effortlessly. I now have four pairs of scissors from Scissorhands including a pair of Evo layering scissors. I love them, I think they’re fantastic – and my students are always trying to borrow them, but I won’t let them! I send all my students to Scissorhands, it’s a pleasure to deal with you and I hope I will for many years to come! "Thank you, that's so nice that you got back to us about the training session. You are so passionate about showing how creative and diverse you can become. Hopefully lots of changes are now taking place and I did two disconnect long haircuts and the clients loved them. So thanks once again for our very own Mr Motivator LOL!" The finger rings arrived this morning, and have made all the difference. 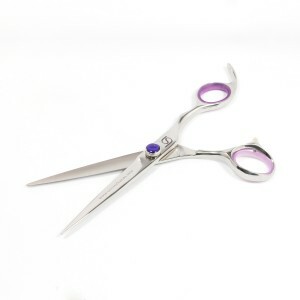 You certainly offer a brilliant service and I’m really impressed with the scissors and your attitude to your customers. Thank you so much!" Today I received the new scissors about 3 days ago and I've been using it since. I just wanted to drop by this email to let you know that I'm so happy with how they have performed up till now. I'm also interested to try the other model (Talea 6.5) so I'll soon call Wayne (our Maltese distributor) to get them delivered to my salon. "I bought the Carbon Evo scissor on your stand at the Hair Show this year at the NEC. I use them all the time now when doing cuts, they take half the time than it did with my normal scissors cuz they blend and texture the hair as you're cutting. Best scissors I have bought :)"
"Loving our new @ScissorhandsUK Superna 6.5 scissors they're fantastic & such a cool design :-) Via Twitter"
And another comment a few months later... Great scissor training with the amazing @ScissorhandsUK thank you also for amazing scissors as well :-))"
"Hi it's Chloe from Printworks Campus Leeds - media make up student I really enjoyed you're talk , I learnt so much and found myself re-inspired and interested in hair and found the facts and info you gave to us very useful and interesting and hope to us it in the future. Also I loved my hair , I trimmed a little off and put my fringe back in after you put layers in it, it just looks so much thicker and full of life. Thank you so much and I hope to see you on another visit"
"I received my scissors today!! I love them thank you so much.. I'll be recommending you to all my stylists :) Thanks again Aimee"
"LOVE my new scissors Ashley! They're like a hot knife through butter, lovely to hold. And look fantastic too! 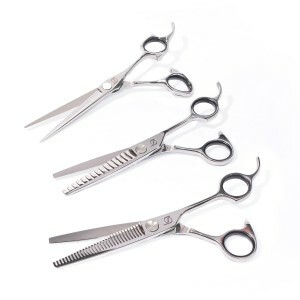 :D"
"Hi Ashley, Received my scissors and have used them today thanks for fixing them I am so grateful I would be lost without them they are wonderful just like new"
"New scissors arrived - thank you Linda for organizing our order. They are just a bit gorgeous and I'm in love with them. Not even secretly. :)"
"Absolutely loving my new scissors! They're amazing! And I really appreciate the help and guidance that you guys have gave me! I really appreciate it! xo"
"Hi Russell, you recommended Ashley Howard (Scissorshands UK Ltd) to me as a point of contact for repairing and sharpening my Infrashine scissors. I'm writing to let you know I received fantastic service and my scissors came back as new. Thank you once again and kind regards"
"I just wanted to say how pleased my wife and I are with your service. After she dropped her scissors we thought that we be an expensive accident. Then finding your website gave us hope. We have received the scissors back in under a week as good as new. We would like to say thank you for your wonderful service at a very good price. Keep up the good work and we will defiantly keep your card for next time and let everyone in the salon know. Thanks again"
I have used them all day today, I love them, so refreshing to find a company that are so passionate about what they sell and all their efforts are to generally help our industry. A great find!!!!" "We are loving our new scissors from @ScissorhandsUK & it was fab to meet the scissorhands guys #saloninternational2014 :)"
"Using Ashley's Evo layering scissor, fantastic results, never use a straight scissor for laying again!!! Thank you Ashley, it's a revelation"
"Thank you for my new scissors! Just as amazing as you said they would be. So glad that I took the risk and ordered them as I have never seen a live demo. What a time saver." Just had to email to thank you for your excellent presentations on the stand yesterday. I found your stand to be the friendliest. It was lovely to meet you and Linda. Having now used your scissors for nearly a year, I couldn't imagine using any others. The EVO scissors have totally transformed the way I cut hair and have made the cutting of very thick hair less of a challenge and more of an inspiration as to what can be achieved. The other very noticeable difference is from the ergonomic design which definitely helps with shoulder and wrist problems (I have to admit to being sceptical), but am now convinced. Once again thanks and hopefully see you next year." "Hi Ashley, thanks for the voicemail. I absolutely love my scissors I take them everywhere!! I've even considered sleeping with them under my pillow just for safe keeping!! Honestly though the difference in my cutting with those scissors is amazing and I'm sure they will last me for many years. I forgot to ask about the best way to keep them in good condition, how should I clean them and how often do you recommend I send them in for sharpening? Thanks :)"